After getting one Superman figure from Mattel’s Man of Steel line, I decided to round up my collection with a more visually interesting character. Claw General Zod is the armored version of Superman’s rival in the Man of Steel movie, and this figure was available from the less-than-bare-bones 4-inch. scale segment of the toy line. I must say that the sculpted detail is pretty interesting, although it is hard to determine how close is the design to what we actually see on the screen. There are a lot of curved, pointy plates in this armor and each line and panel on the suit is sharply defined. 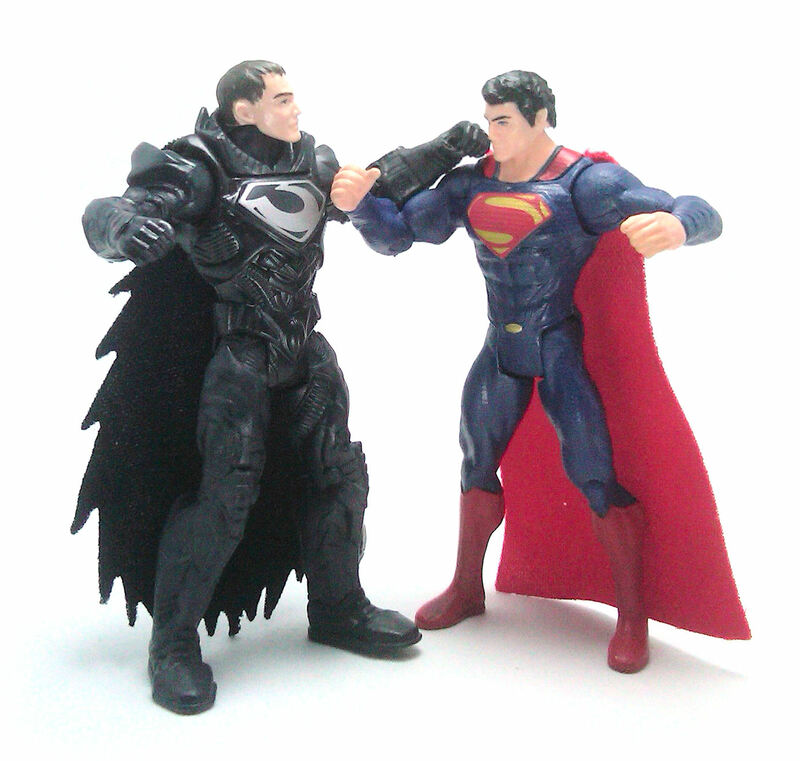 Zod also comes with a rather small, non-removable fabric cape cut to simulate a tattered edge, although the material itself also displays some real fraying from the less-than-sharp equipment used to give the fabric this peculiar shape. The head sculpt is good, but same as Supes, no real effort was made to obtain a resemblance to actor Michael Shannon, so the end result is fairly generic. Again, the neck actually functions as a regular peg joint, but the rest of the articulation is quite useful in its own minimalist way. 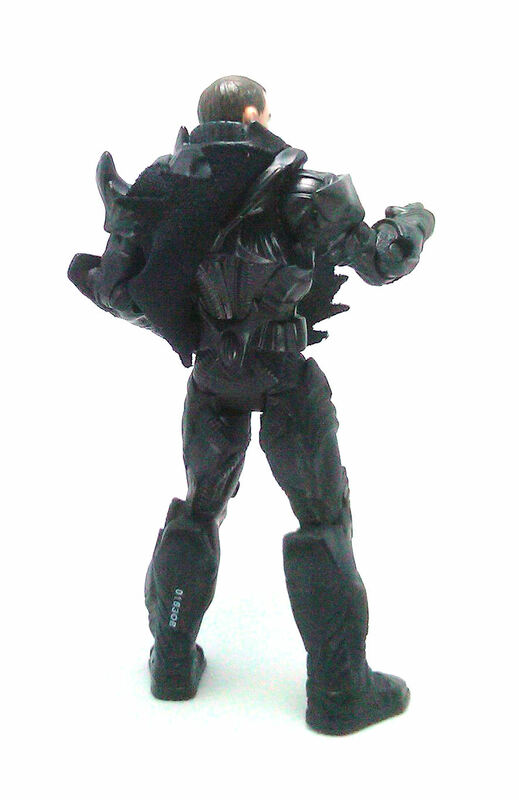 With the added bulk to the legs, Zod is very stable on his feet and can stand unassisted even while holding his accessories. 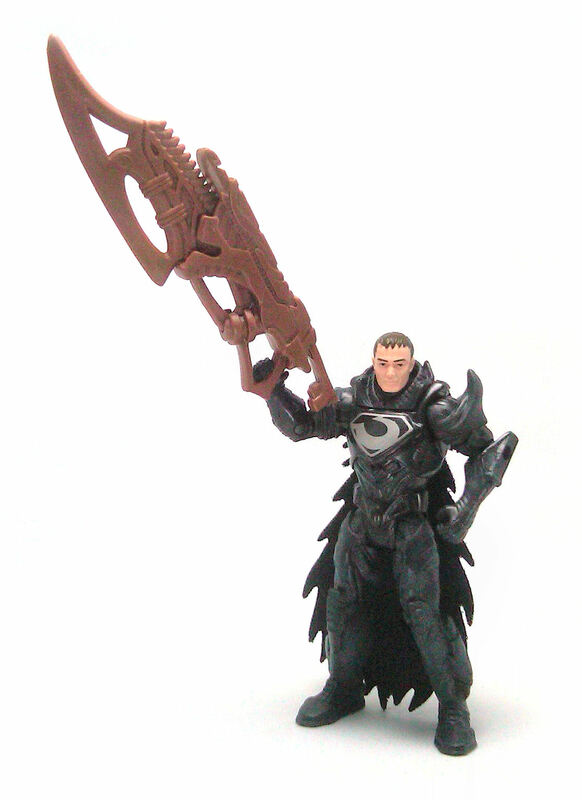 The General comes armed with a kryptonian contraption that mixes a ridiculously large weapon with an equally outrageous blade, which for some reason is called a “Claw” in the package. 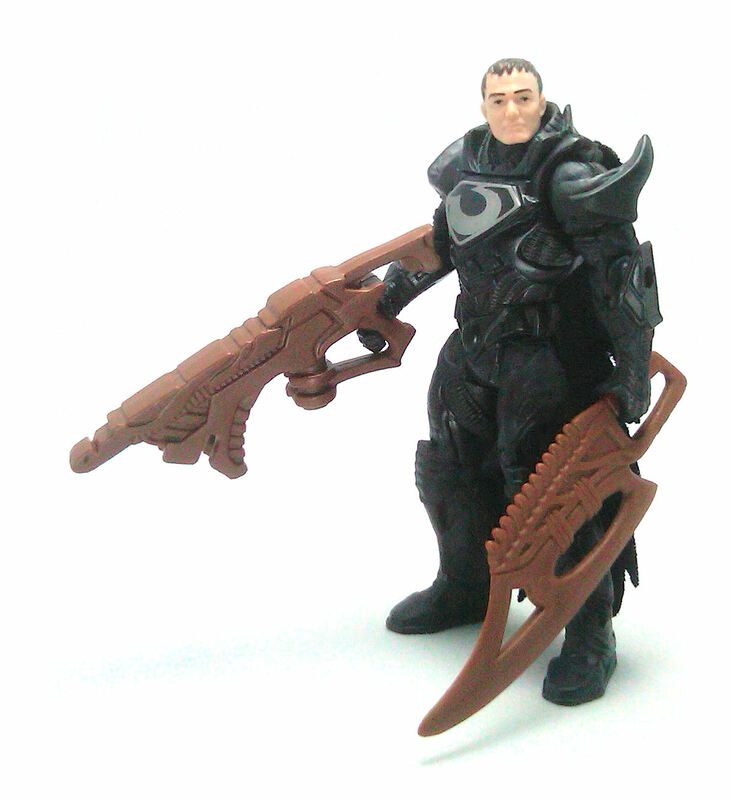 The weapons follow the aesthetic from the film and are molded from a coppery brown plastic. Both pieces can be wielded together or separately, but two-handed poses are out of the question due to the lack of an arms swivel. 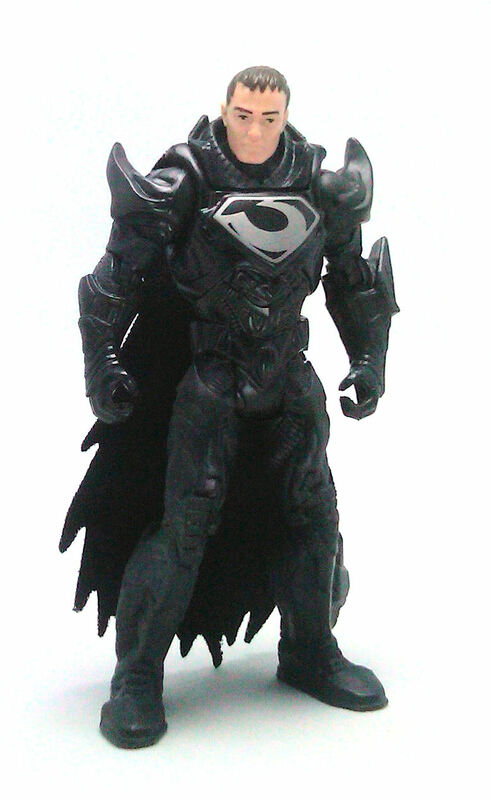 The head was made of skin colored plastic and the body cast in solid black, so the only paint applications on Zod are the silver chest emblem with black applications for eyes and hair. One thing to note is that while on the movie Zod sported a goatee, the figure is entirely beardless. So, while Claw General Zod is still not a stellar action figure, it is an all around solid toy, and in a line composed basically of different versions of just a couple characters, this is possibly the only one that is worth picking, after this version of Superman. He just looks more Gears of War than DC Universe to me. He kind of does. If not for the articulation, I would have probably picked up another one to try and paint him in military colors, just for fun.